Israel and Iran at War - Could It Happen Soon? An Israel and Iran War? Soon? Israel and Iran at war would affect the rest of the world to a great degree. 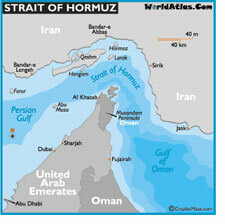 Iran has promised that it would shut off the Strait of Hormuz thus choking off a large portion of the world's oil supply. I have shared a number of new items about this in recent issues. Take a look at this study on Daniel Chapter 8 which shows how it describes, in symbolic language, such a war. 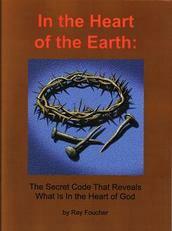 This war marks the beginning of a chain of end-time prophetic events (there will be more on that later.) Part of the point of sharing this material is so that you will be aware and perhaps make some practical physical preparation (as well as spiritual, of course) for the coming difficult times. This month's newsletter contains more such items suggesting that such as war could happen very soon. "Egypt allowed at least one Israeli and 11 American warships to pass through the Suez Canal as an Iranian flotilla approaches Gaza. Egypt closed the canal to protect the ships with thousands of soldiers, according to the British-based Arabic language newspaper Al Quds al-Arabi. "Despite Egypt's reported refusal to block the canal to Iranian boats, the clearance for the American-Israeli fleet may be a warning to Iran it may face military opposition if the Iranian Red Crescent ship continues on course to Gaza." " . . . the Obama administration has ordered a massive buildup of U.S. forces in the Persian Gulf starting with Carrier Strike Group 10, headed by the USS Harry S. Truman aircraft carrier. Just last Friday an armada of more than 12 U.S. and Israeli warships passed through the Suez canal amid extreme security provided by Egypt. "The ships are headed for the Red Sea and from there to the Persian Gulf. Another four U.S. warships will be making their way to the region to join the Strike Group. The Americans have also conducted joint air and naval strike practices with France and the U.K. under the command of American forces, while Germany is sending warships to the area, also under the command of American forces." The Coming War With Iran: 6 Days In Hell! "Newsmax magazine's blockbuster issue has major cover stories, including an exclusive special report by Newsmax contributing editor and Iran expert Kenneth R. Timmerman, 'Six Days to War,' which lays out the scenario likely to unfold if the United States and Iran go to war. "In Timmerman's report, you'll find out why 'Six Days to War' could happen sooner than you think -- as many American assets are already 'in position' for an attack. "Timmerman also details the deadliness and unintended consequences of a U.S. attack against an increasingly militant Iran. "That attack could come sooner than you think." "Prime Minister Binyamin Netanyahu keeps on vowing that Iran will not be allowed to establish an outpost on Israel's borders, but he has not lifted a finger to stop this menace ensconcing itself in the north. He cannot realistically expect feeble UN reprimands and the puny French contingent of UNIFIL to blow away the 20,000 Hizballah troops dug in in 160 new positions in South Lebanon, backed by a vast rocket arsenal -- even though this is a gross violation of UN Security Council resolution 1701. "The next conflagration may be just a single lighted match away." "Israel is 'preparing something' for Lebanon and Hizbullah is on high alert to prevent it, unnamed sources in the group were quoted by London-based newspaper Al-Sharq Al-Awsat as saying Saturday. 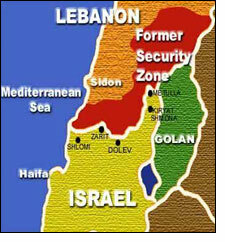 "The IDF recently declassified and released high-quality intelligence of Hizbullah positions in southern Lebanon. Many interpreted the IDF's publicizing of the intelligence as an attempt both to deter Hizbullah attacks and to prepare the Israeli public for a future war should it be deemed necessary." "The United States military has a plan to attack Iran in order to prevent the country from developing a nuclear weapon, the chairman of the Joint Chiefs of Staff revealed Sunday. "Adm. Mike Mullen, the top-ranking U.S. military officer, said a military strike would have severe downsides -- but so would a nuclear-armed Iran. He described the challenge as a choice between two very bad options. "'I am extremely concerned about both of those outcomes,' he said." TEHRAN, Iran (AP) -- The former naval chief for Iran's Revolutionary Guard said the country has set aside 100 military vessels to confront each warship from the U.S. or any other foreign power that might pose a threat, an Iranian newspaper reported Saturday. "Such a military confrontation in the vital oil lanes of the Persian Gulf would be of major global concern. The warning builds on earlier threats by Iran to seal off the Gulf's strategic Strait of Hormuz -- through which 40 percent of the world's oil passes -- in response to any military attack." Comment: In light of all the evidence of a coming Israel Iran War and the likelihood of its effects reaching far beyond the Middle East, the next item is not surprising. "Jason Hodge, father of four children from Barstow, Calif., says he's 'not paranoid' but he is concerned, and that's why he bought space in what might be labeled a doomsday shelter. "Hodge bought into the first of a proposed nationwide group of 20 fortified, underground shelters -- the Vivos shelter network -- that are intended to protect those inside for up to a year from catastrophes such as a nuclear attack, killer asteroids or tsunamis, according to the project's developers. "'It's an investment in life,' says Hodge, a Teamsters union representative. 'I want to make sure I have a place I can take me and my family if that worst-case scenario were to happen.'" I would like to suggest again that, if you haven't already done so, take a look at the study on Daniel Chapter 8 which shows how an Israel Iran war in the Middle East as suggested in these news stories fits in with Biblical prophecy.